Seeds: How A Millennial Farms a Retirement Portfolio. “Yes, as I said. You’re a farmer. Ely recently earned more seeds than he’s ever held. A six-figure bonus. For this Millennial, a bounty received. Smart enough to seek objective guidance and lay the groundwork for a strategy before the windfall is spread. Not to be cast to the wind. Conditions needed to be perfect for what he was seeking to grow. Plentiful tracts. Spider webs of rich soil. All different. Tilled with a specific mix of nutrients and attention. Fortified by a plan and philosophy designed to produce opportunities diversified enough to endure changing climates. Investing for retirement is a robust, varied harvest that may be reaped for decades. Here’s how an industrious Millennial became a financial farmer. It starts with a refreshingly different philosophy about life and money. A young farmer’s mindset has the potential to send chills up the spine of every financial services organization that believe stocks are the only crops in town. Wise stewards of money understand that true diversification and investing is more than stocks. Stocks are not ignored; however they represent one field among four deserving attention. The information then goes on to outline how to diversify with stock investments. If diversification is truly risk management and is a technique that “mixes a wide variety of investments within a portfolio,” why is a portfolio defined solely as a mix of “domestic and international securities?” Is this the “wide variety” that controls or contains risk? I’m sorry, this definition is not accurate. Farmers shake their heads in disbelief. Over the years, especially since the financial crisis, stocks have become more positively correlated. In other words, in times of crisis, defensive industries like food and beverage and cyclical growth sectors like industrials have moved increasingly in the same direction: Down. The majority of stocks follow the general trend of the market, especially during bear cycles. So, when diversification among stocks is needed the most, it disappoints the most. Holistic diversification is grander way to think and invest. It breaks down mental barriers around money, inspires self-discovery, fosters creativity and generates a thought process where opportunities can seed, plant and prosper in a beautiful lifetime patchwork. Each field requires different levels or types of care. That’s diversification the way it should be. As you ponder a philosophy that blends life and money in soil where the nutrients are a unique blend of your personal needs and desires, remember to go beyond traditional thinking to cultivate multiple streams of future retirement income. Cultivate the ROL or “Return-On-Life.” An astute farmer enriches the soil of life by nurturing mental and physical growth. A quarter of Ely’s bonus will seed recreation. A beach vacation, a personal trainer, wine flights, fine dining and a creative writing class. Return-On-Life isn’t a mathematical calculation. The farmer’s formula is personal. Results are calculated by the health of the bounty from all the fields. A guilt-free plan that blossoms or hones a marketable skill, creates an experience, relieves stress. It’s the spending which provides the farmer a clearer head, endurance and energy to work the other fields to yield maximum output. Add nutrients to a stock allocation but set realistic expectations. Traditional asset allocation plans deserve attention however farmers have been advised by financial media and popular publications that stocks, bonds, hedge funds and other liquid investments make up the centerpiece of the farm. I was able to help Ely question this guidance: Help him broaden his perspective about planting landscapes and think smaller about the future riches sowed from this area. I needed to set expectations. A likely scenario over the next decade is the returns from this field may reap less return, perhaps close to zero. Using a formula from money manager Dr. John Hussman of the Hussman Funds to mathematically determine what stock market returns may look like over the next decade, the following result is calculated. Assumptions are just that: Obviously, change is the only realistic constant. These long-term estimates are based on decade-long rolling periods therefore they are highly inconsistent when it comes to short-term market cycles. Regardless, it allows a farmer to plan and diversify accordingly. The potential of this field is consistently on the radar as resources are directed most often to this space through regular contributions to a retirement plan and a taxable brokerage account. 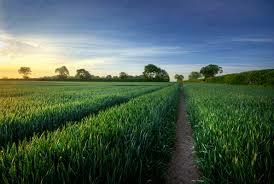 Plant seeds in unfamiliar terrain with the richest soil for growth. 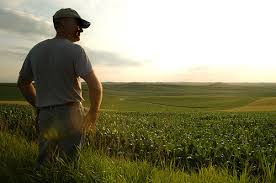 The diversified farmer understands that investing in non-publicly traded ventures is risky, requires patience, yet can reap great personal and financial rewards if the landscape is properly understood and receives the correct balance of nutrients, attention and ongoing provision of resources. Tilling a private field takes passion and focus above and beyond what’s required to sustain consistent pastures. It’s a direction that requires guts to pursue. After all, that part of the farm can go busy, is fragile. A young farmer with vision handles the responsibilities with alacrity and maturity. Ely set seeds aside for rental real estate to generate passive income and will diversify his farm more effectively than publicly-traded real estate investment trusts that correlate higher small company stocks. He’s also seeking to purchase units of a limited partnership in a wine-tasting venue opening in downtown Austin, Texas. I’ve experienced a willingness by pre-retirees and recent retirees to invest 5-15% of their net worth in private ventures and small business franchise opportunities as a way to diversify from traditional stock and bond portfolios. It’s a growing trend as investors know they’re not getting the full story on how diversification works. They’re “reading around” Wall Street. Flanking the field, venturing out to undiscovered, fertile ground. I greatly encourage them to take the chance as long as a team we understand the impact of a formidable loss on their retirement strategy. Grow a pension and supplement Social Security. Safe is a field. It produces the steady, ongoing sustenance a farmer can never outlive. It’s the poster child of proper diversification. An annuity that will provide reliable income to bolster Social Security. The use of insurance to transfer risk in case something goes wrong that sets our farmer back financially in the future, is a smart addition of acreage to the farm. Nothing fancy. Nothing variable: A simple deferred-income option or a single-premium immediate annuity where the farmer knows exactly the bounty to be received on a periodic basis as part of long-term retirement income planning. There’s nothing variable here. No storm fronts that can create loss and vulnerable conditions. Ely believed that this field balanced and fit perfectly into the farm he’s working. I met with silence at the other end of the phone. Ten seconds max. Felt like 60. I couldn’t have said it better myself. Well done, farmer Ely. This entry was posted in Money & Fields and tagged diversification, financial planning, health, millennials, money, retirement, stocks by Richard M. Rosso, CFP. Bookmark the permalink. Speaking of Millennials, here’s the story I did on their role as supporters and donors for arts organizations. You can include it as the “arts and culture” perspective in finance. 😛 Don’t just read the article, listen to the story. It’s better to hear it than read it.